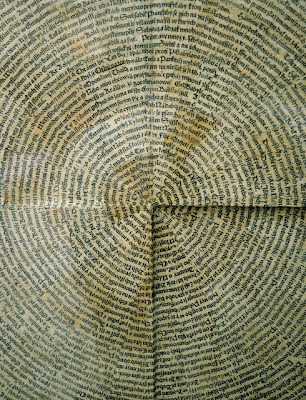 When I first caught sight of the artwork below by Czech artist and poet Jiří Kolář (1914-2002), it reminded me of the growth rings in a tree. 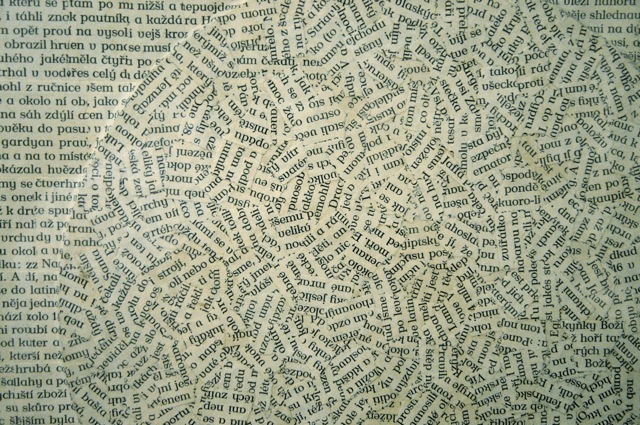 It is actually a collage he made of blackletter text in 1966. 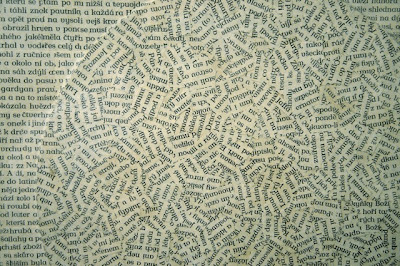 Although Kolář died nearly 10 years ago, he is still considered one of Czechoslovakia's most significant fine artists and poets of the latter half of the last century. 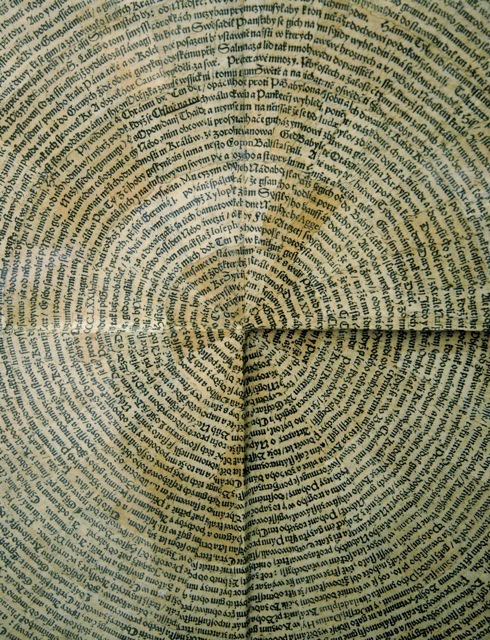 Below are 2 other Kolář collage artworks from the same 2010 Prague exhibit. 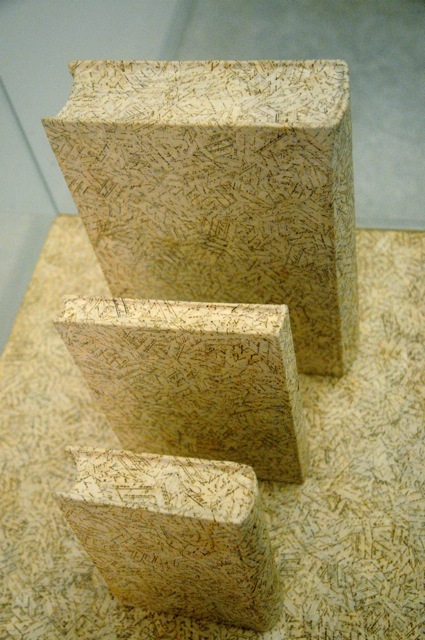 Taken by Greg Mullinex at a 2010 exhibit of Kolář's work in Prague. Thanks for sharing Greg!